The coconut-based cleansers create the richest, most luxurious foam. The clinical-grade moisturizers hydrate the skin. The Himalayan pink sea salt balances and purifies your skin. The product is naturally derived. Their bottles are recyclable and the refill pouches save more than 90% in plastic, water, and energy. Getting the last bits of gel from the bottom isn't easy. 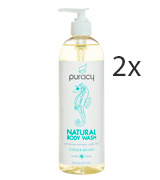 Puracy Natural isn't cheap. But you will definitely get your money's worth. The product removes any and all impurities, improves hydration, and completely washes away everything that doesn't belong on your skin, leaving it crisp, soft, and clean. Packed full of powerful essential oils as well as skin nourishing botanicals, the formula has natural antifungal and antibacterial properties. It will help you defend your body against body odor, armpit odor, athletes foot, jock itch, Tinea Versicolor, ringworm, itchy scalp, and just about every other skin irritation in the book. The bottle is a little stiff and hard to squeeze. 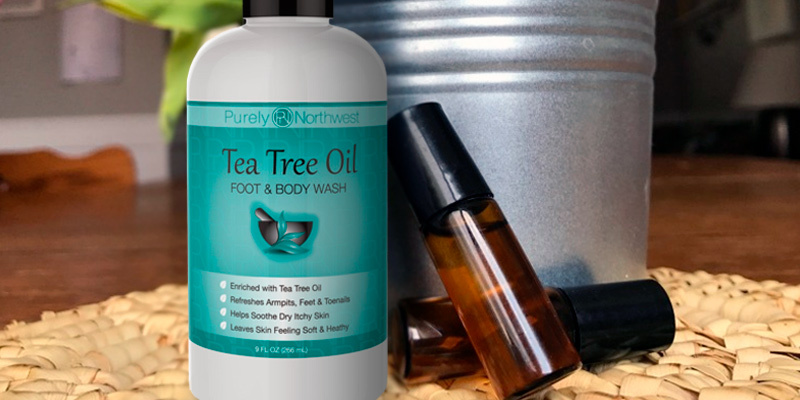 Purely Northwest body wash helps with hydration, leaving your feet, skin and even nails feeling clean and refreshed. Their natural unisex formula fits just about anyone but it is particularly suitable for athletes, gym enthusiasts, and people who are into physical activity in general. 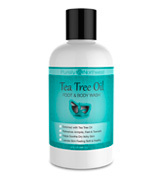 The product gives you the benefits of a body, hair, and face wash, all in a single solution. It gives a nice coolish refreshment. Its long-lasting, masculine scent exudes confidence without feeling overbearing. It lathers great, rinsing your body as well as the next body wash. Doesn't make for a great permanent shampoo replacement option. Nivea Men Cool is an excellent body wash for men who lead an active lifestyle and need a body wash able to support them through that lifestyle. The icy menthol in its formula wakes you up in the morning and gives you the energy boost necessary to sustain you through the day. The wash deep-cleans, softens, renews, refreshes, deodorizes, and even heals your skin with its excellent antiseptic, anti-germ, and anti-fungal properties. Its botanical ingredients and essential oil extracts don't just clean but also condition and protect your skin, giving it rapid relief and the necessary defense mechanism. 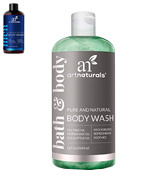 ArtNaturals Essential Bath and Body Wash doesn't contain ammonium lauryl sulfate, sodium lauryl sulfate, methylparaben, ethylparaben, butylparaben, or any other harmful chemicals. It doesn't leave your skin frizzy, damaged, and dried. Instead, it treats your skin the way it deserves. Colloidal oatmeal, better than any other active ingredient, restores your skin's normal pH level and aids in the maintenance of its moisture barrier. Attracting moisture to the skin, oatmeal work wonders relieving dry, itchy, and irritated skin. The formula is very lightly fragranced, hypoallergenic, dye- and soap-free. A touch difficult to wash off. 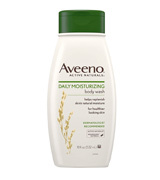 Aveeno Daily Moisturizing Body Wash is the best pick for people with sensitive skin. It foams so well that it can even be used as a shaving gel. Besides, considering the price and the 18-fluid ounce bottle, this is probably the most cost-effective product in this review. 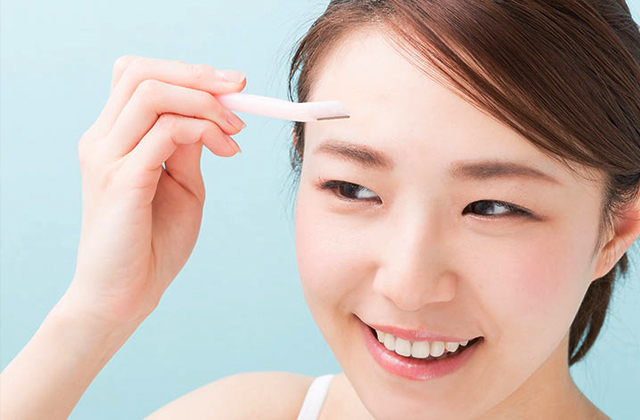 Due to the ridiculously fast-paced lifestyle, your skin has plenty on its plate as it is. It deserves better. In this case, better is Puracy Natural. 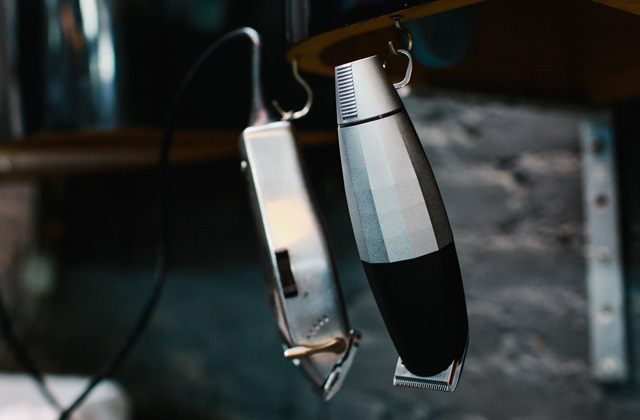 As far as we can tell, this is a product that excels on just about every front. The coconut-based cleansers in it create the richest, most luxurious foam. The clinical-grade moisturizers provide the ever-so-necessary hydration to your skin. There's very little pleasant about the atmosphere and environment we live in. Which is why the people behind this product decided on Himalayan pink sea salt to be one of the main active ingredients. Balancing and purifying your skin, it removes most of the toxins and bacteria that you accumulate in your daily life. Of course, as effective as it is, we wouldn't be recommending this gel based on this merit alone. Thanks to the sun-ripened citrus groves, it feels really good against your skin, with a gentle breeze of ocean air that will follow you around for hours. Finally, what makes this product arguably the best shower gel around isn't just what it is but also what it isn't. Being naturally derived, hypoallergenic, cruelty-free, vegan, non-toxic, biodegradable, and gluten-free, the solution is about as environmentally friendly as it gets. Their bottles are recyclable and the refill pouches save more than 90% in plastic, water, and energy. Long story short, Puracy Natural isn't cheap. But you will definitely get your money's worth. This organic product removes any and all impurities, improves hydration, and completely washes away everything that doesn't belong on your skin, leaving it crisp, soft, and clean. Purely Northwest doesn't leave bacteria and fungi a single chance. 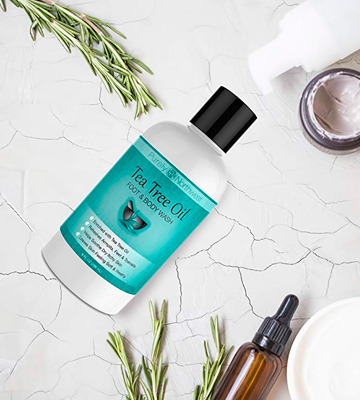 Packed full of powerful essential oils as well as skin nourishing botanicals, the extra strong formula has those natural antifungal and antibacterial properties that cleanse and purify your skin without involving any harsh chemicals. 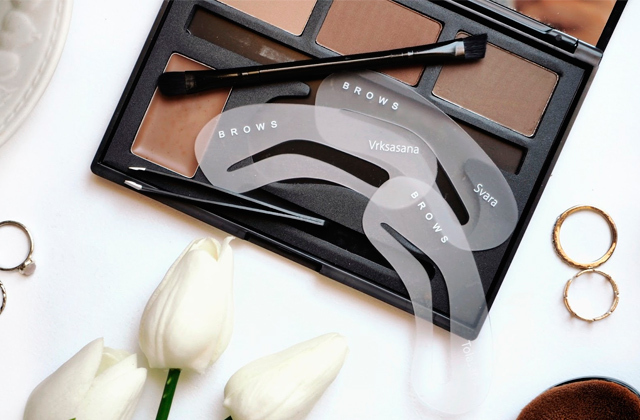 No harsh chemicals means, among other things, no parabens, petroleum, silicone, synthetic fragrances or dyes. Of course, fungi and bacteria aren't your only enemies. But, with Purely Northwest as your ally, you'll be able to defend your body against body odor, armpit odor, athletes foot, jock itch, Tinea Versicolor, ringworm, itchy scalp, and just about every other skin irritation in the book. 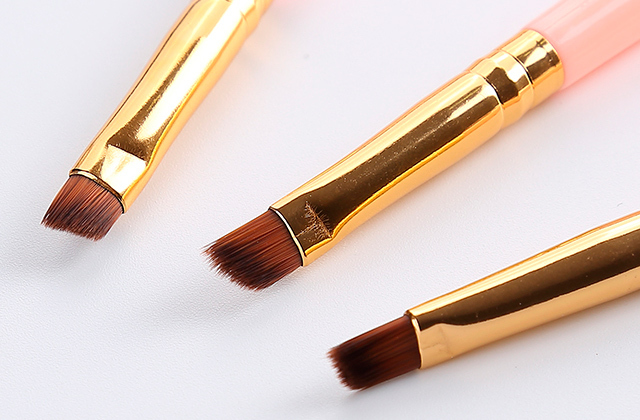 Now, despite how effective it is, their formula is gentle enough for daily use. You can use it as a body soap or shampoo. 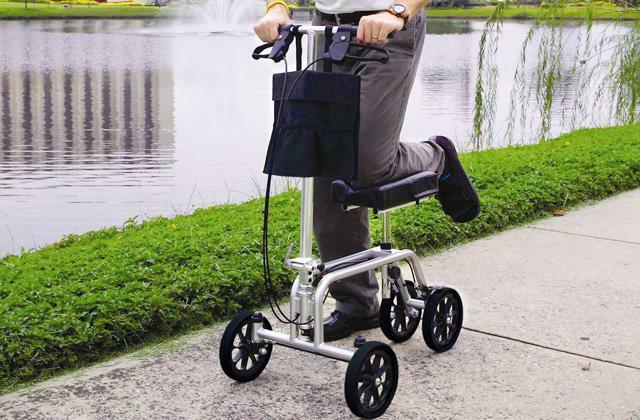 It is equally suitable for men and women. Infused with tea tree, oregano, peppermint, and a whole bunch of vitamins, it soothes your skin and leaves it feeling soft and healthy. Long story short, Purely Northwest body wash helps with hydration, leaving your feet, skin and even nails feeling clean and refreshed. Their natural unisex formula fits just about anyone but it is particularly suitable for athletes, gym enthusiasts, and people who are into physical activity in general. 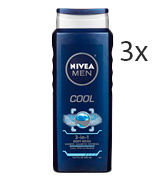 Nivea Men Cool keeps things simple as the company usually does. The 3-in-1 notion in the name implies that you get the benefits of a body, hair, and face wash, all in a single product. And, again, in case the name isn't enough of a giveaway, this wash is developed for men. It doesn't make your skin feel soft and smooth. It doesn't have a particularly delicate aroma to it. 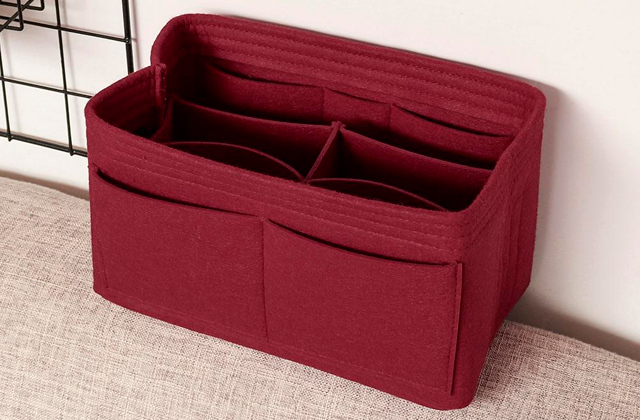 Instead, it gives the cooling refreshment necessary for a fast-paced and often chaotic modern-day lifestyle. The long-lasting, masculine scent exudes confidence without being particularly overbearing. Though it isn't as soft and gentle as other products in this review, Nivea Men Cool isn't necessarily unforgiving either. Don't get us wrong, it lathers great, rinsing your body as well as the next body wash. But it is able to cleanse your body without making your skin dry, which isn't something that can be said about most men's shower gels. It removes dirt and sweat and it does so without any harsh chemicals in its formula. 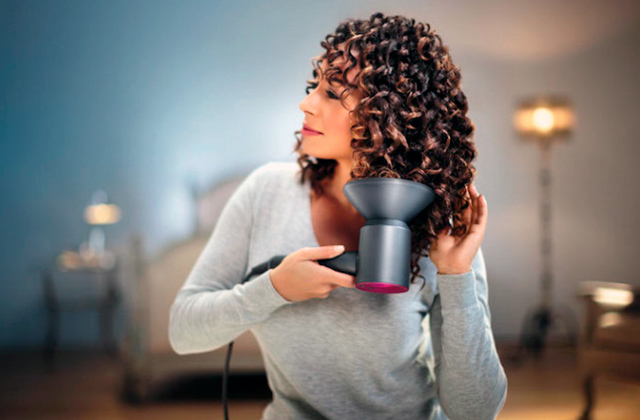 The only gripe we have with this product is that, despite the 3-in-1 advertisement, it doesn't really make for a great permanent shampoo replacement option. 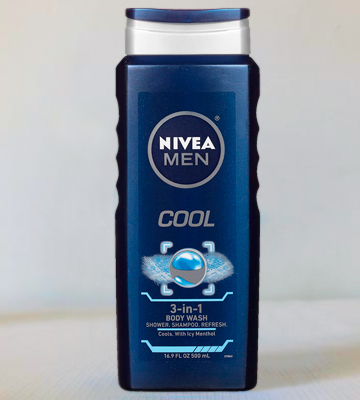 But even with that in mind, Nivea Men Cool is an excellent body wash for men who lead an active lifestyle and need a body wash able to support them through that lifestyle. The icy menthol in its formula wakes you up in the morning and gives you an energy boost that should be enough to sustain you through the day. 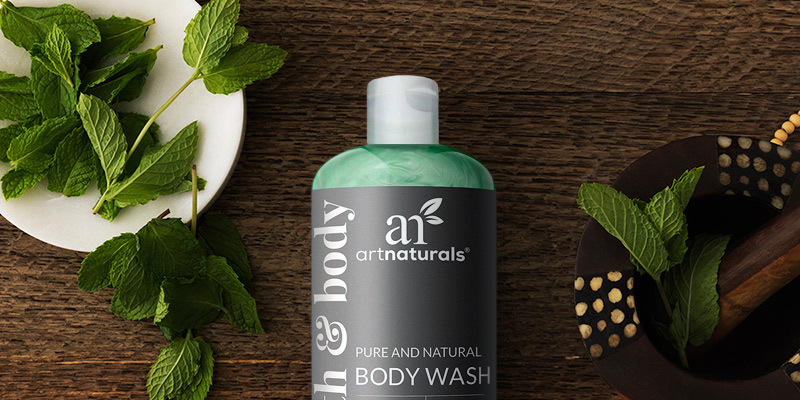 ArtNaturals Essential Bath and Body Wash is all about treating your skin the way it needs and, frankly, deserves. Created with practically nothing but skin care in mind, it deep-cleans, softens, renews, refreshes, deodorizes, and even heals your skin with its excellent and completely natural antiseptic, anti-germ, and anti-fungal properties. The product's botanical ingredients, in addition to essential oil extracts, don't just clean but also condition and protect your skin, giving it rapid relief and the defense mechanism necessary against germs, bacteria, and fungi. But what we really like about this body wash is that it doesn't just bank on its natural healing properties and effectiveness. Combining the scents of tea tree, eucalyptus, peppermint, and different essential oils, it creates a scent that simply can't be resisted. Their formula masters the laws of attraction and creates a unique aroma that you wouldn't be able to confuse with any of its subpar competition. The only thing we have against their solution is that it doesn't foam that well. But given everything else that it offers, we're willing to let it slide. 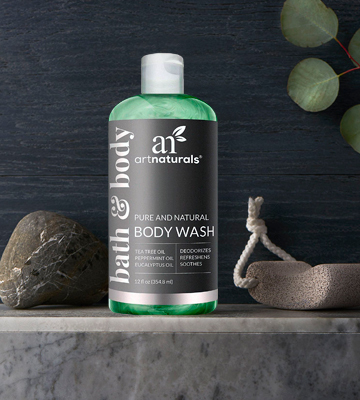 All in all, ArtNaturals Essential Bath and Body Wash doesn't contain ammonium lauryl sulfate, sodium lauryl sulfate, methylparaben, ethylparaben, butylparaben, or any other harmful chemicals. 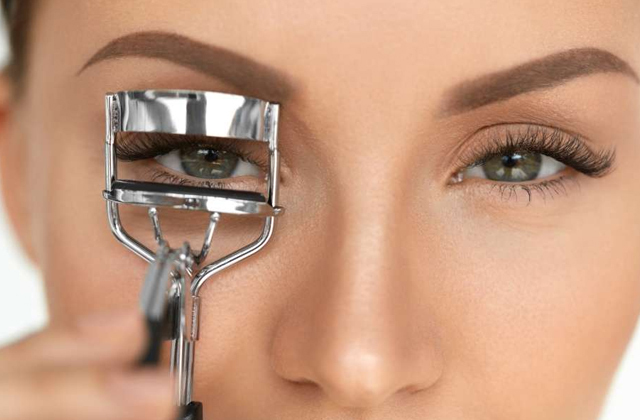 It doesn't leave your skin frizzy, damaged, and dried. Instead, it soothes your skin, moisturizes it, renews, and refreshes, leaving it clean, shiny, and hydrated. 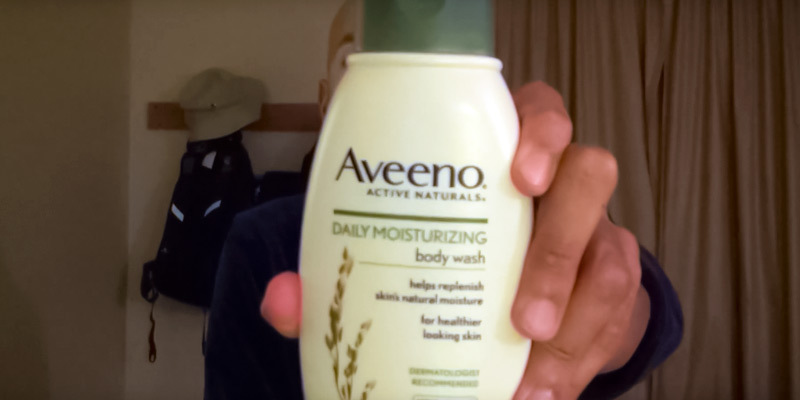 Aveeno Daily Moisturizing Body Wash is really effective. In fact, some might even argue that it is too effective as it can be a little difficult to wash it off at times. But, as far as we're concerned, that's the formula's only flaw. 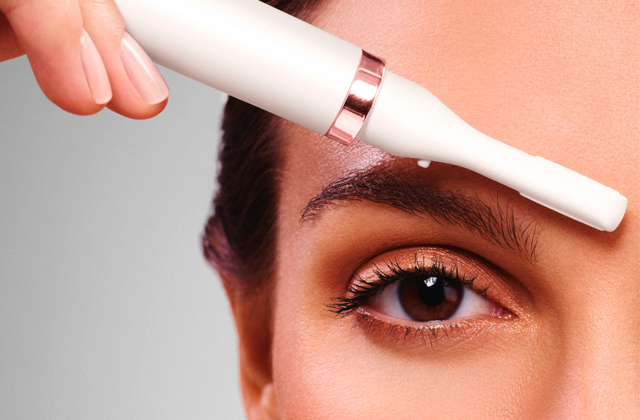 Other than that, this product makes your skin glow the way very few products do. The biggest strength of the formula is colloidal oatmeal. Better than any other active ingredient, it restores your skin's normal pH level and aids in the maintenance of its moisture barrier. It is great for all skin types but especially so for people with particularly sensitive skin. Attracting moisture to the skin, oatmeal work wonders relieving dry, itchy, and irritated skin. 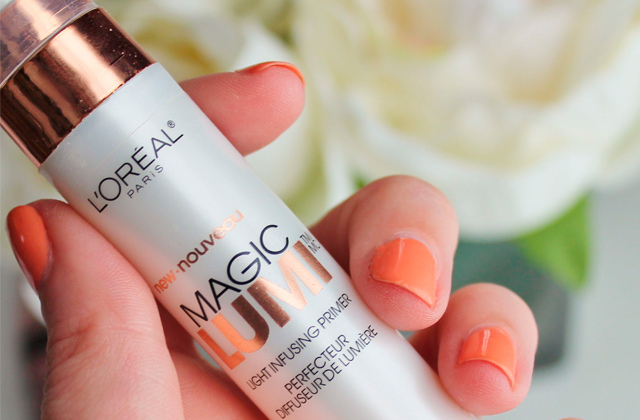 The formula's overall composition is another reason the product is so good for sensitive skin. It has a very light fragrance, doesn't contain soap, is dye-free and hypoallergenic, meaning that the formula is more than gentle enough for the most sensitive skin types. In addition to oatmeal, the product includes a unique blend of natural oils and rich emollients. They further help the solution lock in moisture, so you end up with a softer, smoother, and healthier-looking skin. All things considered, Aveeno Daily Moisturizing Body Wash is the best pick for people with sensitive skin. It foams so well that it can even be used as a shaving gel. Besides, considering the price and the 18-fluid ounce bottle, this is one of the most cost-effective products out there. What Is a Body Wash? A body wash, also known as a shower gel, is a term that is as simple as it is complicated. In essence, any liquid product made for cleaning the body during showers can be called a body wash. The difference between these products and liquid soaps is that the latter contains saponified oil, while the subject of this review does not. Since they hold a lower pH value, these gels make your skin less dry. There are a few things you need to keep in mind when you go looking for a shower gel. 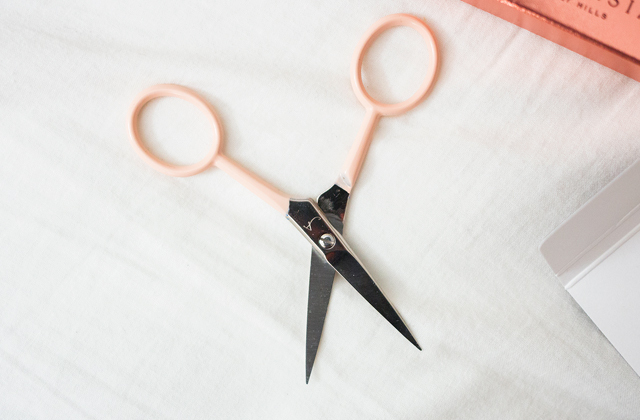 First and foremost, you want to make sure that it doesn't contain any harsh chemicals. You want a cruelty-free product, preferably one that doesn't include soap. All of these body washes feature different active ingredients, so it is never a bad idea to go through those in order to figure out whether it is the right fit for you. Some are unisex, while others are designed with either male or female demographic in mind. Last but not least, make sure to find the gel that fits your skin type. That said, you need to take care of your skin regardless of your skin type. To help you with that, we have reviewed some of the best pore cleansers and facial steamers.